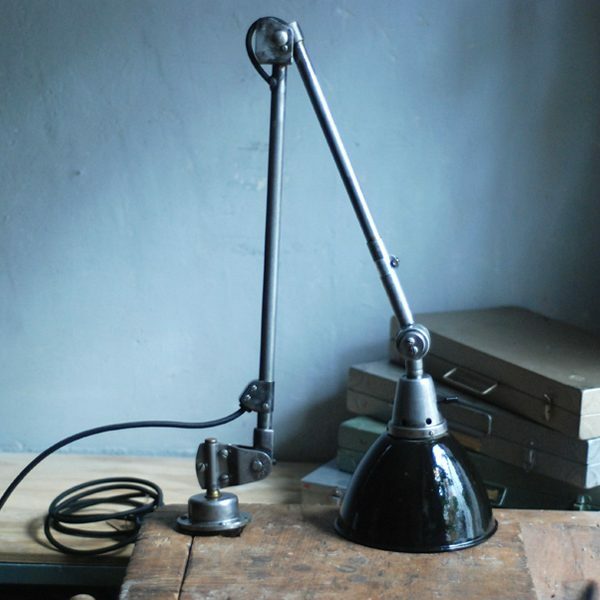 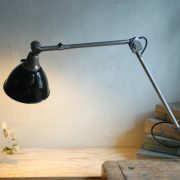 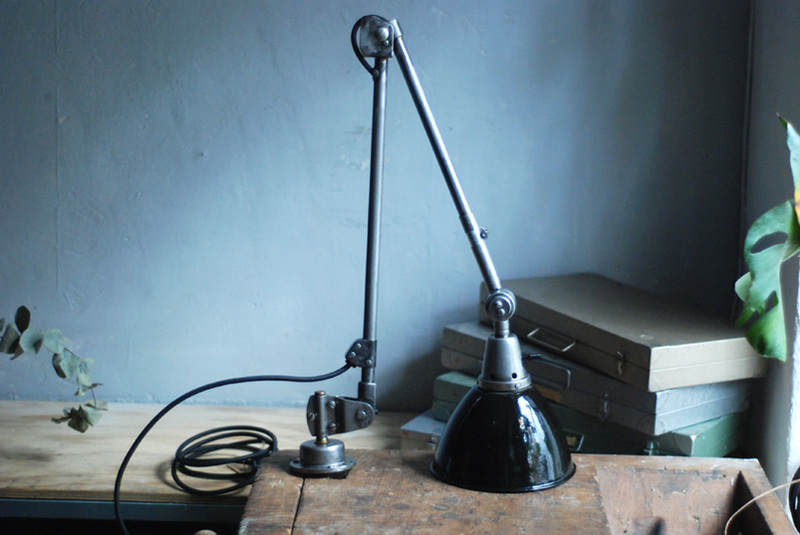 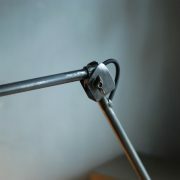 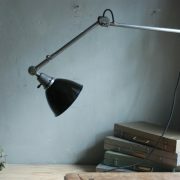 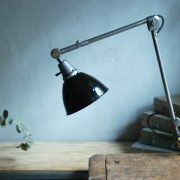 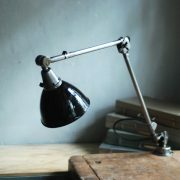 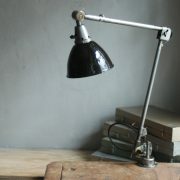 Midgard clamping lamp in steel look with enameled shade from another manufacturer. 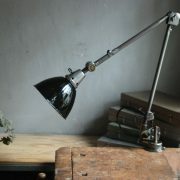 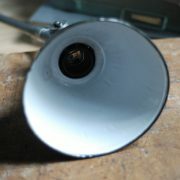 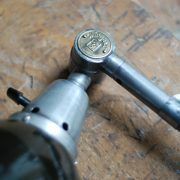 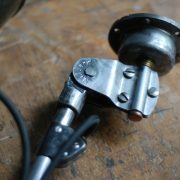 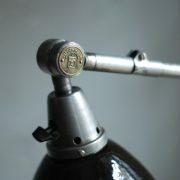 of all elements, the lamp was polished brushed clear coated and rebuilt again. 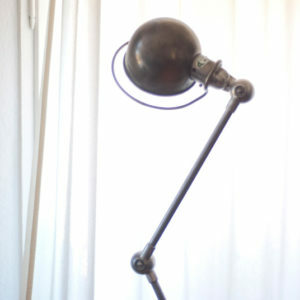 The lamp has a unique and nice patina. 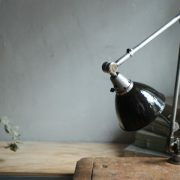 It has a noteworthy patina. 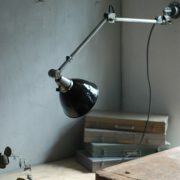 The enameled shade is in a very good conditoin and has few signs of age. 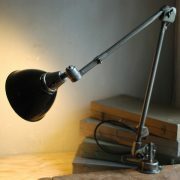 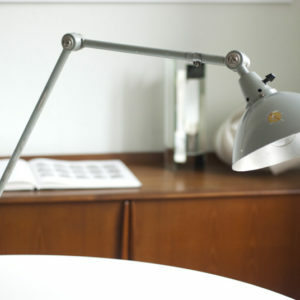 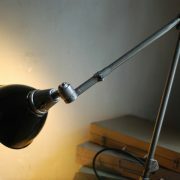 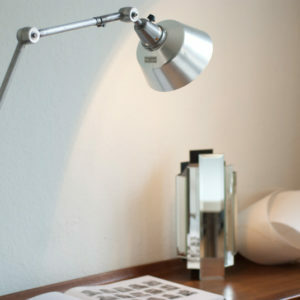 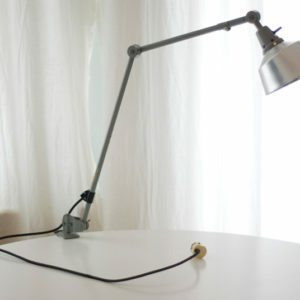 The lamp can be fixed to the table or at the wall with the original base and screws. 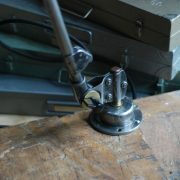 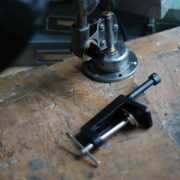 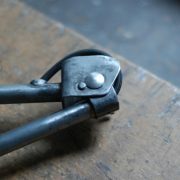 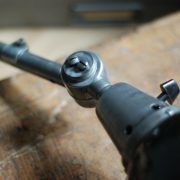 And can be more easily fixed at the table with the provided extra (non original) clamping base.